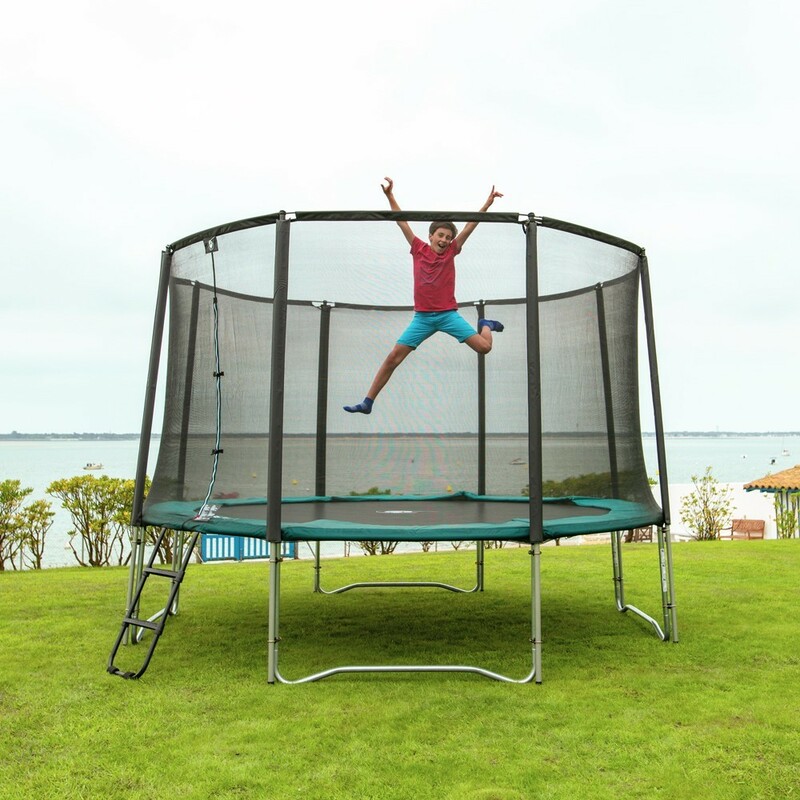 The 13ft Jump’Up 390 with enclosure is a family sized trampoline designed for medium sized gardens. Its diameter of 3.96 m is a market exclusive. 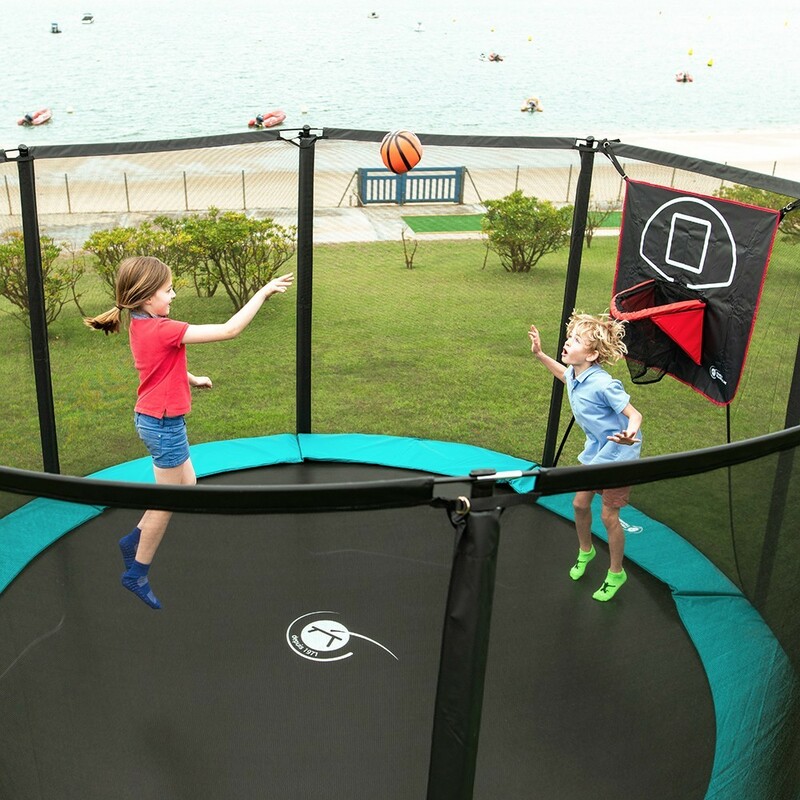 It is designed to withstand weight of up to 120 kg and retains all of the strong technical components of the Jump’Up range, making it perfect for family use for many years to come. 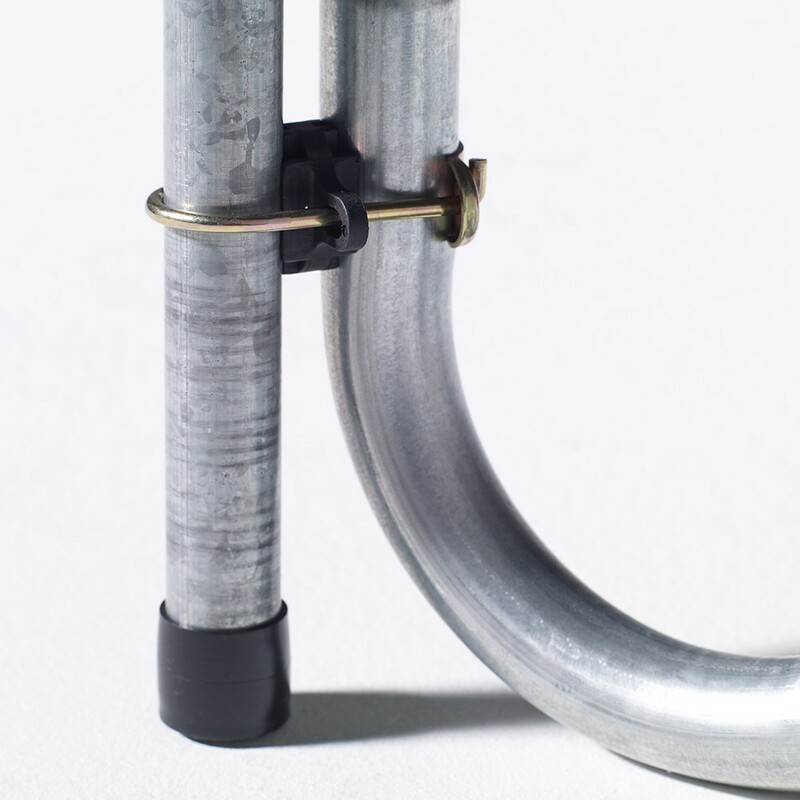 - Its framework has been hot-dip galvanized to protect it against corrosion. This means it can stay in your garden all year round. - The framework is held together with T-junction components, which link the semi-circles and the base of the structure. 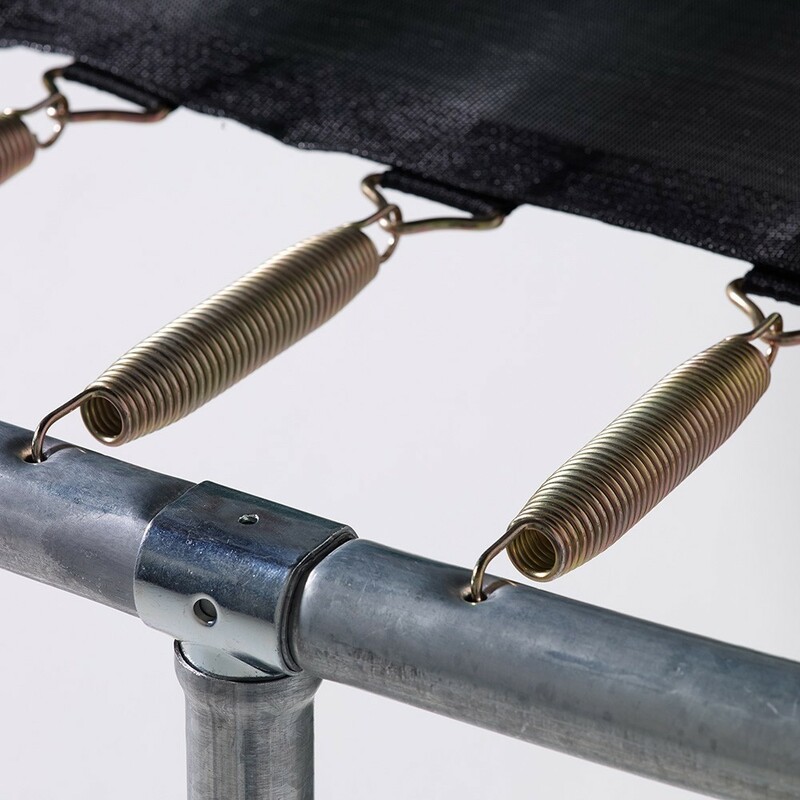 This avoids the need to weld and makes the trampoline even more robust and able to cope with the prolonged use the it will undergo over the years. 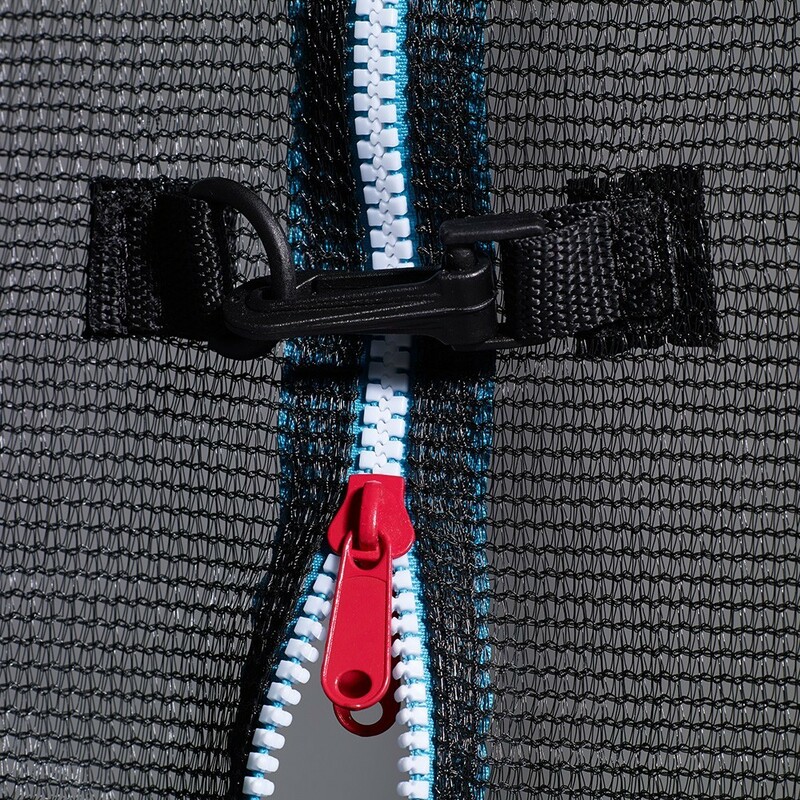 - The jumping mat has reinforced spring straps, using 8 rows of stitches and a strengthening strip. 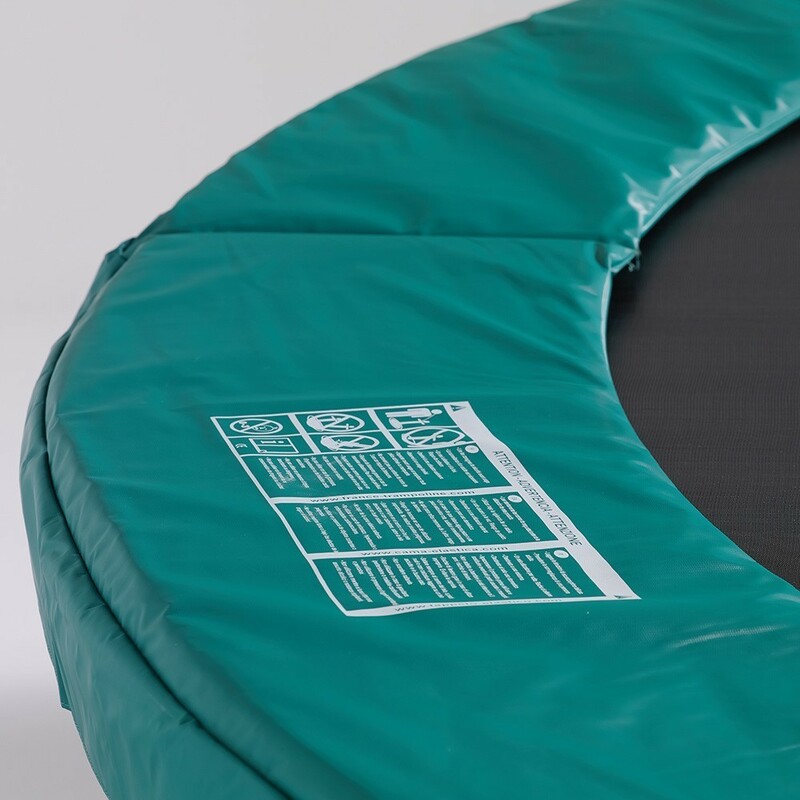 This level of quality is essential to prevent the jumping mat from ripping. 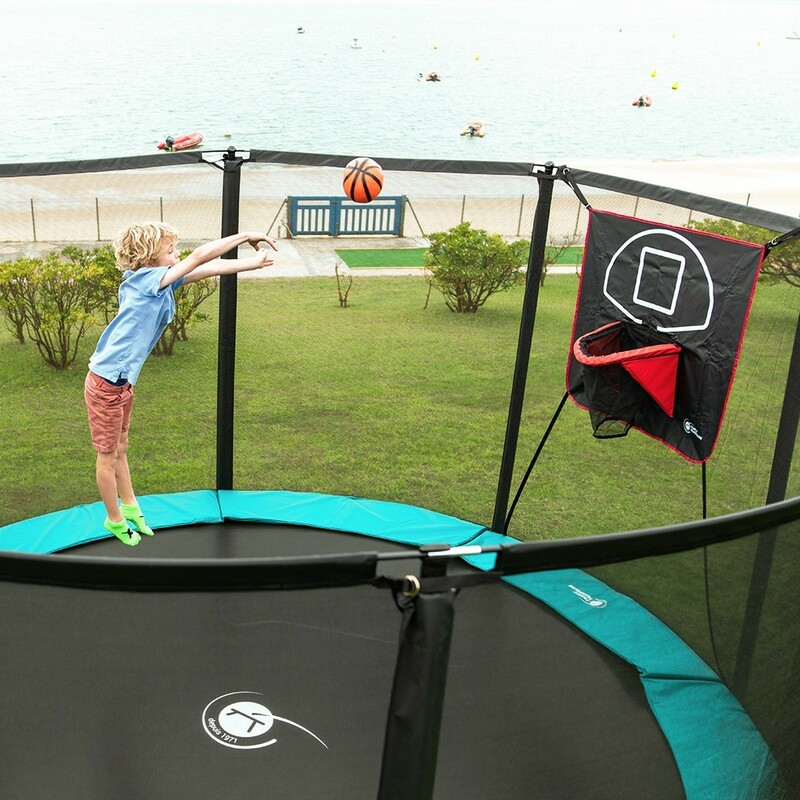 - The springs of 180 mm in length make the pad more flexible, which is ideal for family use. 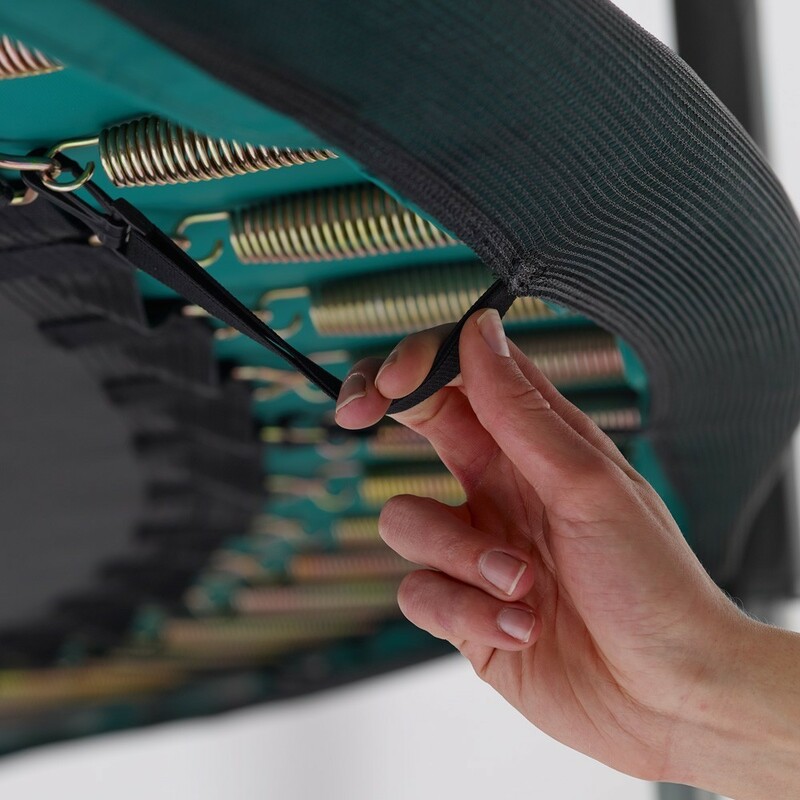 - A dark green frame pad is placed over the springs. 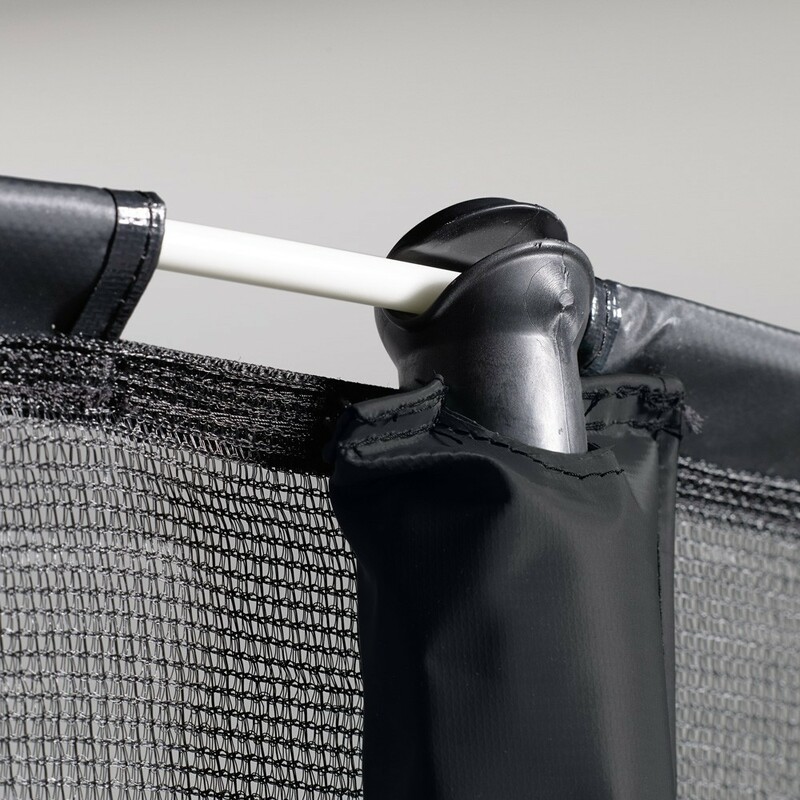 Its thick PVC is UV protected so that it can remain outside. The foam inside is made of 20 mm thick EPE foam, a closed cell foam which does not freeze or get mouldy. 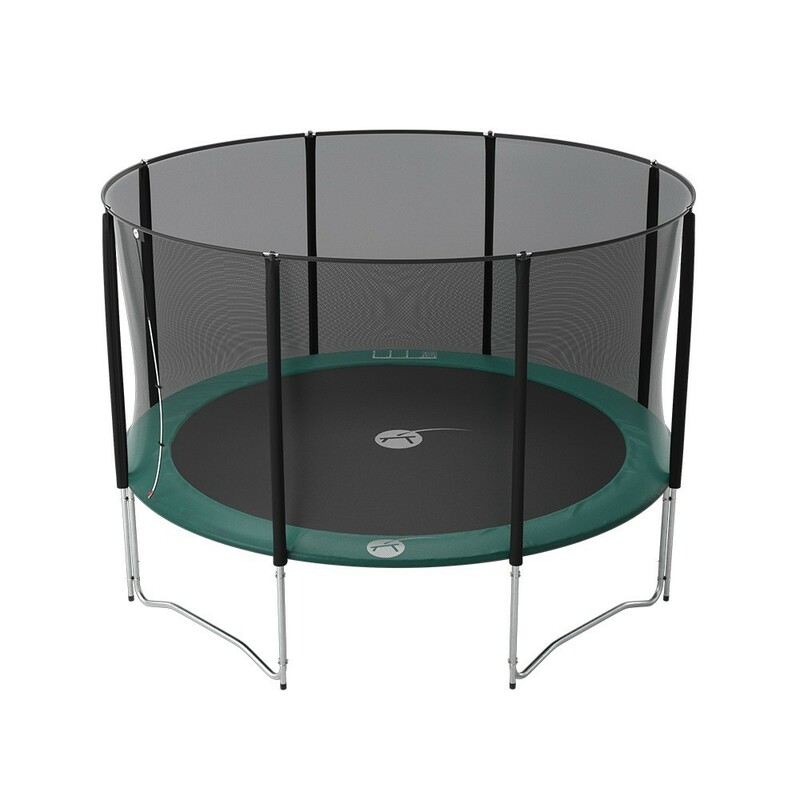 - The PREMIUM enclosure has been maximised to allow your children to use the trampoline safely. 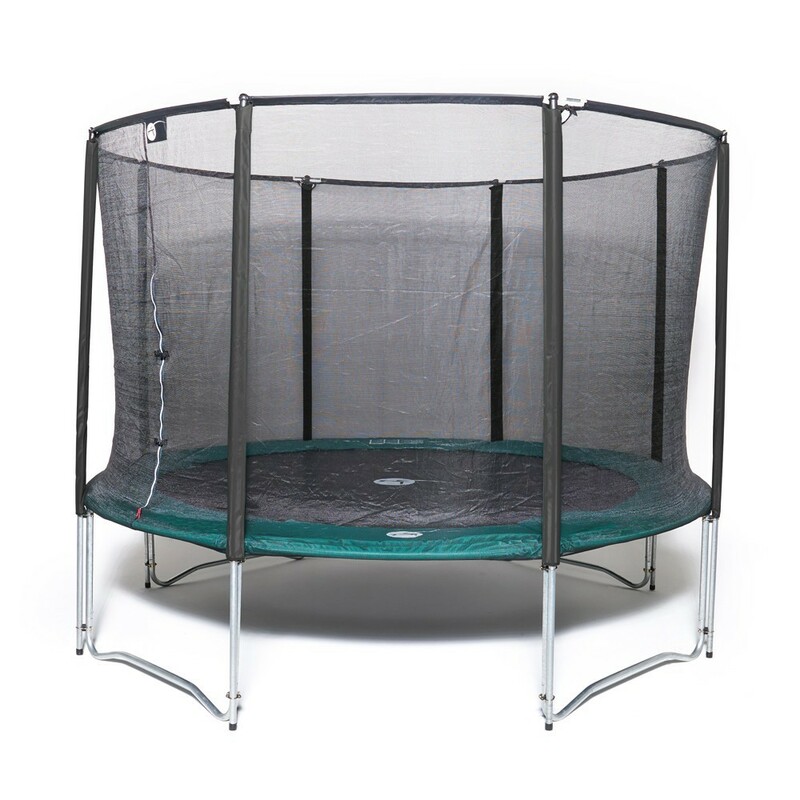 This net is held in place by posts of 32 mm in diameter, which are attached to the legs of the trampoline using 2 fixation points (only one is used on discount trampolines). Fibreglass rods hold the top of the enclosure on to the posts, ensuring the enclosure is optimally stretched, maximum security and an overall aesthetic look. The door to the enclosure overlaps, this is the ideal solution to prevent it from opening on its own. Produit de très bonne qualité, conforme au modèle déjà vue. Des heures et années de plaisir en perspective. 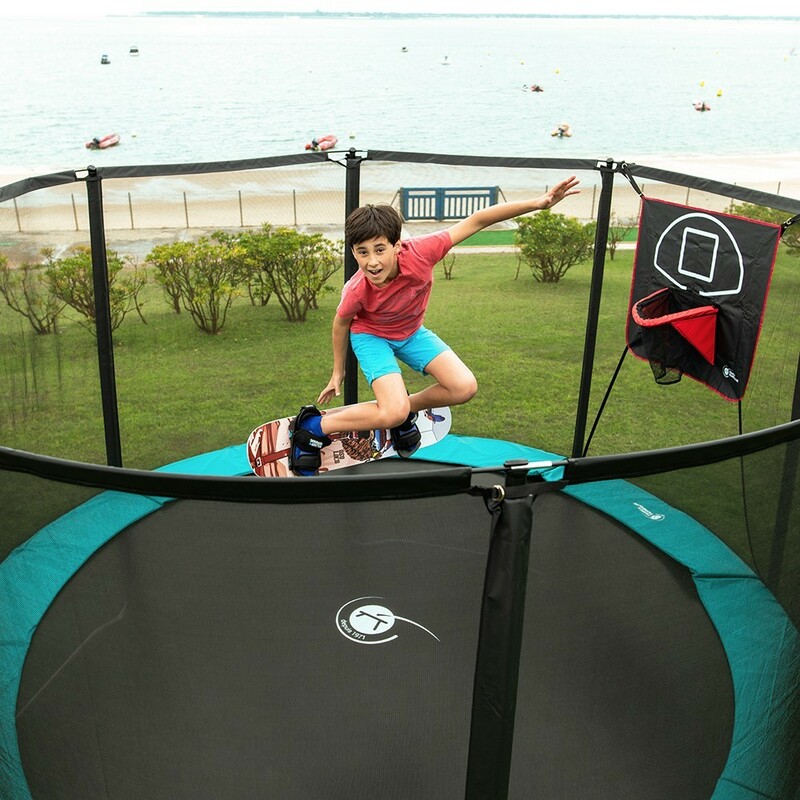 Super trampoline pour petits et grands, chez nous de 4 à 60 ans avec des amateurs et des utilisateurs expérimentés.